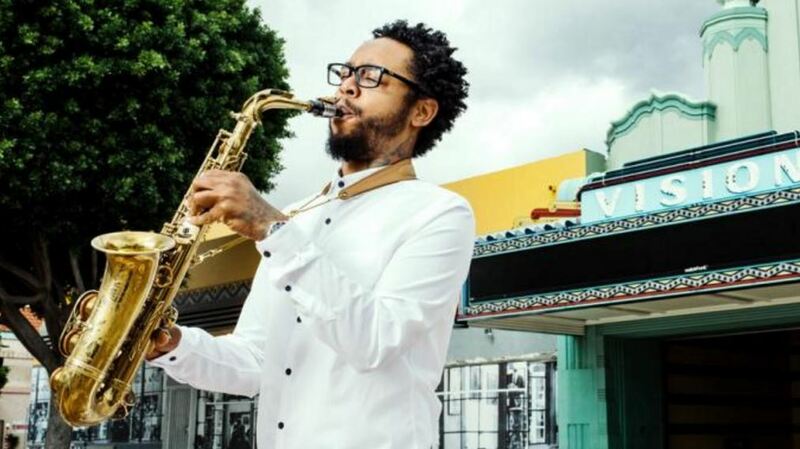 Multi-instrumentalist and producer Terrace Martin playing saxophone in front of Leimert Theatre. Photo via @terracemartin Instagram. Terrace Martin has produced records with some of hip hop’s biggest names, but now he returns to his own music — bringing his south L.A. roots to the forefront. If you’ve heard Kendrick Lamar’s album To Pimp A Butterfly, you’d be familiar with the super-producer’s jazzy and soulful West Coast influence. And those same sounds can be heard on his newest project, Crenshaw Dreams. 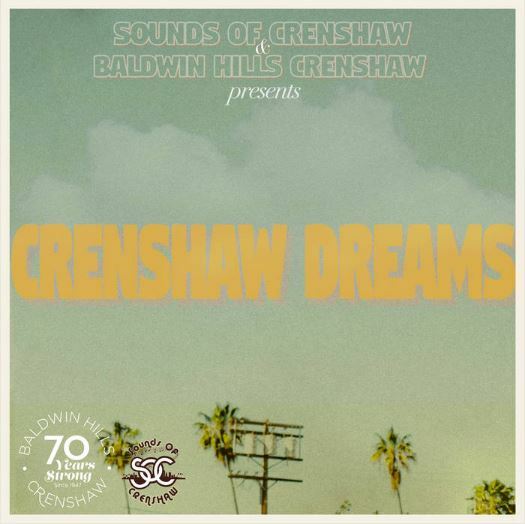 The album is named after Crenshaw to pay homage to the neighborhood Martin grew up in, and as part of the 70th anniversary celebration of the Baldwin Hills Crenshaw Plaza. Baldwin Hills Crenshaw is the nation’s first suburban shopping mall and has been a pillar in the community since opening its doors in 1947. The mall has continued to play a vital role in the arts and music scene by hosting free concerts that feature local talent — programming that Martin supports wholeheartedly. Fun fact: As a music prodigy, Martin gained the interest of talk show host Jay Leno, who presented him with a scholarship and later purchased his first professional saxophone! Crenshaw Dreams features 10 feel-good tracks infused with jazz, hip hop, R&B and a crystal clear indication of his Crenshaw upbringing. One of the songs is dedicated to a bus line that serves the area: the Metro 210. The instrumental track is any easy listen with a mix of live instruments and studio beats; the perfect soundtrack for someone on the go. My personal favorite track on the album is Leimert Park. It begins with a drum beat similar to Janet Jackson’s That’s the Way Love Goes, then follows up with Martin playing saxophone. Perhaps Martin might be interested in producing a Leimert Park pt. 2 after the Crenshaw/LAX Line Leimert Park Station opens! There are two other songs that give a direct shout out to Martin’s stomping grounds: L.A. Dreamen, which seems pretty self-explanatory, and Ladera Heartbreak, which refers to the neighborhood of Ladera Heights that is located just west of Crenshaw. Crenshaw Dreams is on Soundcloud and can be streamed for free until April 14. The album is also available for purchase at Bandcamp.com. How We Roll, March 27: If you were the Dark Lord of the freeways, how would you rule them?